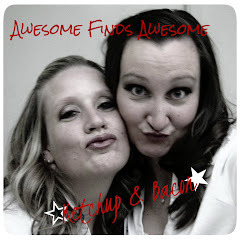 This pretty little blog brought to you by the bestes of besties, is up and running!!! Ketchup and I have talked about starting this up for months. I love, love, loooove the idea but, I'm gonna be super honest, I'm scared. This is the thing, I have a new baby and a busy toddler, I have been know to forget to brush my teeth (just for a day...okay, two, don't judge) and usually eat my first meal of the day at naptime...at 2pm. So, the idea of committing to blogging daily (or close to it) intimidated me. Buuuut, I know I can't be the only momma out there that feels like they're on a nonstop carousel of bottles, wet kisses, dirty diapers, baby snuggles and broken sleep. We're not all menu planners. Not all of us get outside everyday. And not all of us shower daily (or even every other day.) If that's you, or you can relate at all, you are my people!!! And even if you do have it all together and regularly do Pinterest projects (successfully,) I don't judge and you're still my people because that's who I want to be when I grow up. Take a peek at our bios, read about our adorable babies, follow me on Twitter and Instagram (thebaconmaven,) leave us comments so we can follow back. I'm so excited for this adventure, hope you'll join the ride!